Tips 'n tricks for finding the perfect internship or project, preparing for going abroad and getting the most out of your international experience. What are the benefits of working with students? How do you get the best ones? What can you expect from students, and what can't you? 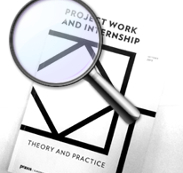 Have you just been allocated a student to supervise on an internship? Have you been asked for advice on internships by a student?